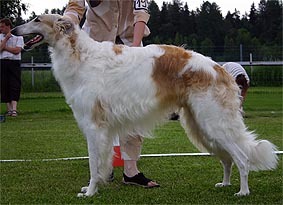 He has run clean races without ever being disqualified during his 6 year long carrier as a lure courser. 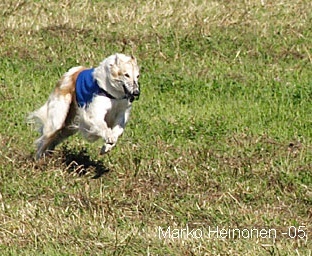 He was one of his times absolut best runners. 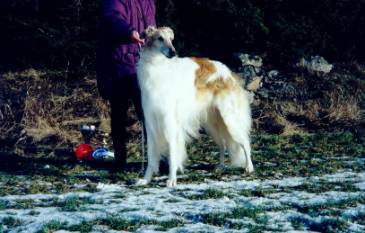 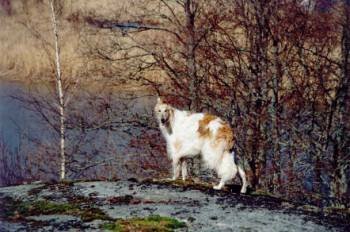 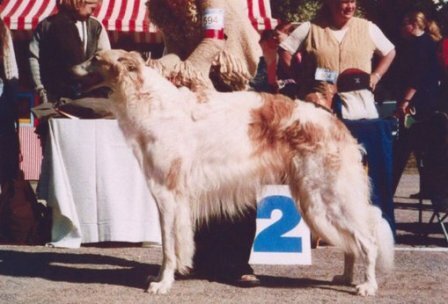 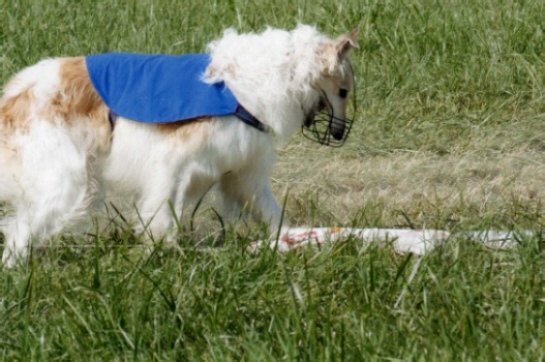 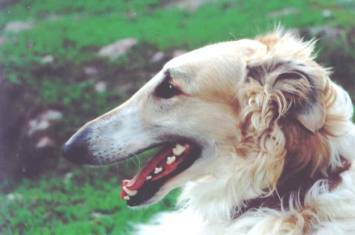 placing second best Finnish male borzoi 12/22, and this at the age of over 7 years of age. 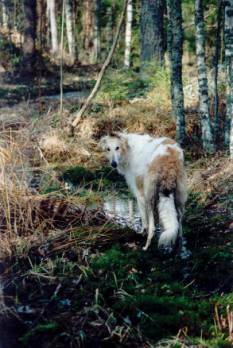 Febo in the summer of 2009 approaching 11 years of age. 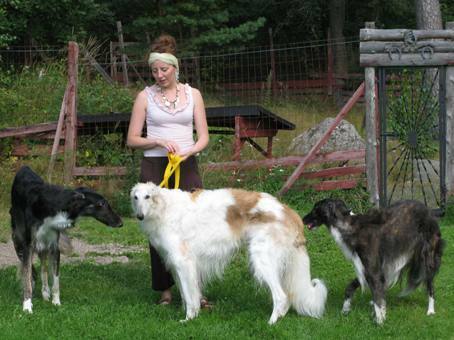 Here with Charlotta, Kasanova and Jekaterina.